Cut down on distractions by limiting the frequency with which your e-mail client checks for new messages. Use folders in your e-mail client. 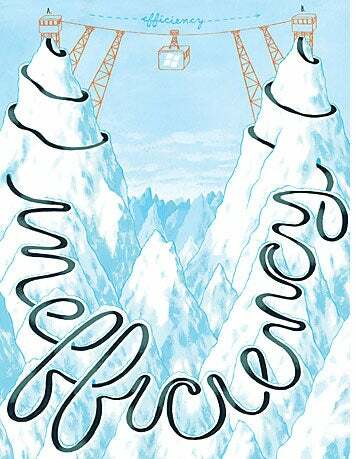 Letting your e-mail accumulate in a monolithic inbox makes it nearly impossible for you to find important messages without a la­­borious hunt, as well as greatly increasing the odds that you’ll forget or simply overlook e-mail that re­­quires urgent attention. Delete the junk, and file nonactionable e-mail messages into clearly defined folders. Getting into the habit of sorting incoming mail in this way is critical for most users looking to enhance their productivity. Be judicious with e-mail folders. An e-mail folder should not be so narrow of purpose that it’s never used, but neither should it be so broad that it be­­comes overstuffed with messages, unless you use that folder strictly for archiving and don’t need to refer to its contents regularly. Use a descriptive name for each folder and keep it short enough that it doesn’t require scrolling within the Mail Folders pane. Remember that folders can usually be nested, too. 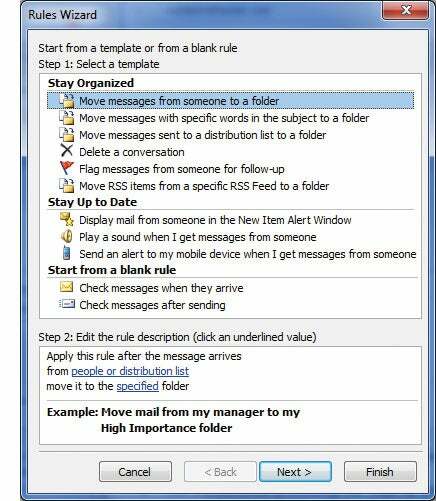 Use e-mail rules to automatically route incoming messages to specific folders, so you can work through your e-mail inbox in a more organized way. Use rules to route messages automatically. When your personal involvement isn’t necessary, e-mail rules can save lots of time. For example, do corporate newsletters from the same address arrive ten times a day? Stuff them into a folder for “later review.” In Outlook, look for a simple rules wizard that walks you through creating your rules; to find it, select Tools•Rules and Alerts. Most other e-mail clients have a similar option for establishing automated rules. Customize your browser’s default search engine. Your PC builder has likely preset Internet Explorer’s default search en­­gine to the one that’s paying it the most. Otherwise, it’ll be set to Microsoft’s liking: Bing. Change this setting by clicking the drop-down arrow in the top right corner of the IE window (within the search box), and click Find More Providers. You won’t find Google without a hunt, so type Google into the ‘Find add-ons…’ search box, and select the first result, Google Search Suggestions. Click Add to Internet Explorer, and at the pop-up, click Make this my default search provider. Rename files fast. Renaming lots of files in Windows Explorer? Select the first file in your list, press F2, and type the new name. When finished, press Tab instead of Enter. Explorer will jump you to the next file in the list and automatically select the entire file name so you can rename it without having to press the Backspace key. Continue pressing Tab, and you’ll zip through the list one file at a time. Drag in Outlook. In Outlook, you can drag any item to any other area of the program, and it will create a new item there, with the dragged information as part of the new item or event. Drag an e-mail to the Contacts button, and it will create a new contact for the sender, automatically populating the Name and E-mail fields, and putting the body of the message in the Notes field. Drag a contact to the Calendar, and you’ll create a Meeting Invitation ready to be sent to that person, and so on. Don’t constantly check your e-mail. Frequent checking breaks your concentration and interrupts what you’re doing, wasting time as you return your focus to the task at hand. Reduce how often your e-mail client checks for new messages to something less distracting: Every 10 or 15 minutes should give you time enough to focus without keeping people waiting overly long for a response. 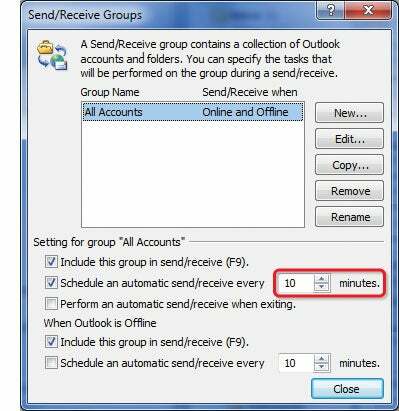 In Outlook, click Ctrl-Alt-S and tweak the digits for ‘Schedule an automatic send/receive every __ minutes’. Make important e-mail more findable. Just change the subject lines. Few things are more annoying than receiving an important e-mail message that carries a clueless subject like “hey” (or worse, an empty subject line). A more meaningful subject line improves your search index and makes your e-mail thread more valuable in general. In Outlook, open the message (this tactic doesn’t work with just a preview), se­­lect the subject line, and type over it with the more-useful text you want. Select multiple files easily. Using the Ctrl or Shift keys to select multiple files in Windows Explorer can be difficult and an invitation to commit errors. If, however, you frequently need to open or manipulate multiple files at once, turn on Windows’ check-box system—it lets you select files more easily. In Windows Explorer, you can find this setting under Or­­ganize•Folder and search options•View. Scroll down and select Use check boxes to select items; then click OK.
Power up the ‘Send To’ feature. When right-clicking a file in Windows Explorer, hold down Shift before you click, and then select the Send To command. Windows will reveal a whole host of additional options, such as one to move the file to an often-used folder.